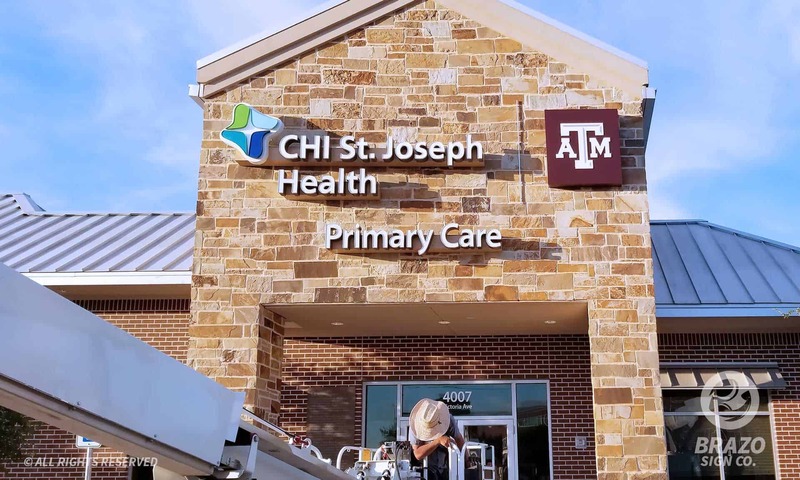 Chi St. Joseph and Texas A&M had Brazo Sign Co. help them re-brand their 7 plus locations with illuminated channel letters. New door vinyl was also applied along with a new look done to the road signage. This is just phase 1 of phase 2 in which Brazo Sign Co. will create a new monument sign for the same locations. 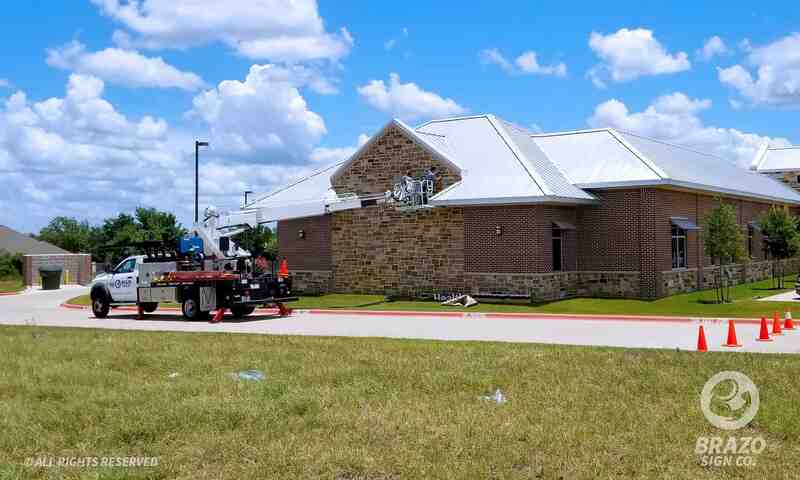 We have done plenty of healthcare Signs both indoor and outdoor, which is why we were chosen for this project. 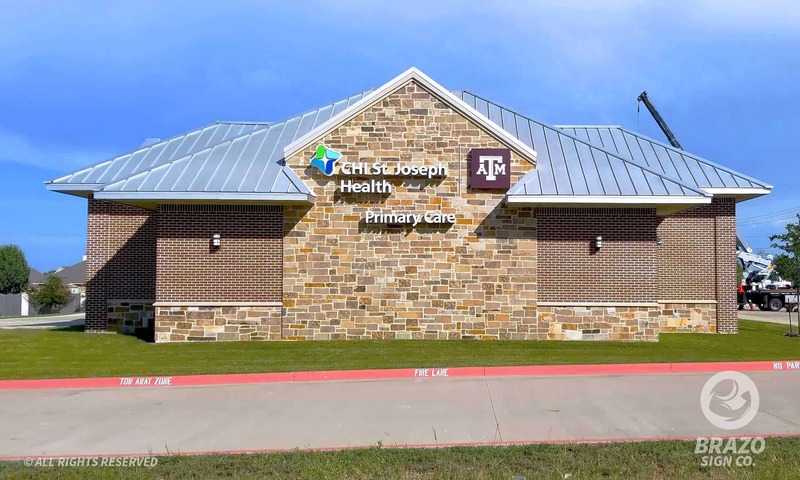 We worked closely with Chi St. Joseph as well as Texas A&M to keep the brand consistent utilizing their brand guidelines and our marketing knowledge. 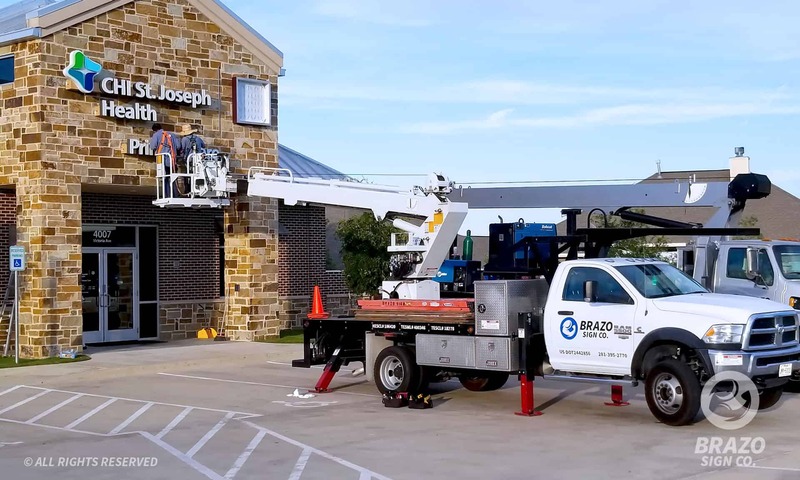 Because of our fleet of trucks, the job was done for a great price and in a timely manner.